This is a guest post by ISU student Joe Mayer. Learn more about him in the author bio below this post. So here I am, a senior in chemical engineering, working what seems like every hour of each day toward a degree and a future. Well, it just so happens that all these years spent in school have not left me without some idea of how I could have done it all better, and what I believe I did right. This semester I constantly find myself thinking of things that I feel young engineering students would (or should) probably find valuable. So here it is; my list of tips for engineering students! First and foremost, choose an interesting major! Among the things I find in common with many freshmen in engineering is that they have no idea what they want to do with their education. The end result of this seems to be either staying in a field that they don’t really like at all, or dropping out of engineering altogether. Both of these things can be easily avoided by simply taking the time to learn more about the various field of engineering. This might take some time and effort, but as a first semester freshman who really would like to become an engineer, your field is the most important choice you will make during school. Choose a field of engineering that sounds fun to you! Read the book! The book is where you will find most of the information you are going to need to know for the homework and exams. Don’t just glance over the book or skim it while you do the assigned problems. Make notations in the books, derive the equations as they appear and read actively! The best notes in the world won’t do you any good if you don’t understand the concepts behind them. Talk about the material with someone. Whether it is your roommate, friend, professor, or rival, talk about the material you are learning with somebody else. Help explain it to them, and have them explain it to you. This will increase your understanding of the material by a surprising amount. Determine what you don’t know. Never think that you know it all, because you don’t. There is always something that you do not know or fully understand. The best way to narrow down what you need to study is by determining the areas you are having problems with. 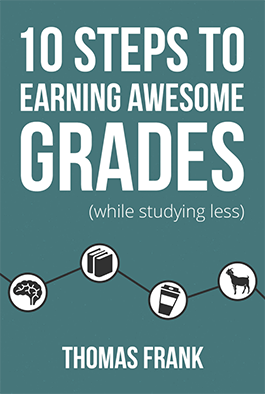 Doing old exams or extra homework assignments can help you asses this. Whether you think class is enough for you or not, go talk to the professor. Many professors have office hours, most of them answer emails, and all of them come to class. This means that there is plenty of opportunity to talk to your professor and have all of your questions about the material answered. Most professors like to meet their students and they really do enjoy diving into the lecture topics on a deeper and more personal level. However, there are some important things to keep in mind when speaking with a professor. Whatever the reason is, wherever it came from, do not go in and talk to a professor with a bad attitude. You are not likely to learn anything from them, and they probably will not be so pleased to talk to you. Always be positive and eager when you are going in to ask questions, and be certain when you are there to voice concerns. Arrogance about the subject will not get you anywhere. Remember, they are the ones teaching this subject in college, you are the one there to learn from them. Always be humble when you are talking to your professor, as they do have some control over your future. Keep your books. If there is one thing I learned during my internship experience it’s that you should absolutely keep your engineering books. There will be some point during a future class, internship, or job that you really would love to reference something out of one of your school books. This is engineering; these books are valuable for more than just passing a class. A lot of this information actually cannot be found readily on the internet. As an engineering intern I was using my own books and the books my manager kept from college almost every day. You might get some money by selling your books back, or save some money by renting, but these are not routes I suggest. Buy your books, use them well, annotate them, and keep them! Work on your resume. Your resume is a reflection of you as a professional. Make sure it looks good and includes only relevant information. It is important to utilize as many resources as you possibly can to make your resume the absolute best it can be. You are going to want to participate in clubs, events, and anything else that might be considered leadership experience during your college career to help boost your professional profile as a student leader. Get an internship or coop in your field of interest as soon as you can. Practical, educational work experience is actually a requirement to be considered for full time employment in many companies. If you want companies to take you seriously, you must take yourself seriously. Everything you do during your career as a student in engineering should be leading you toward full time employment with a company of your choice. The decisions you make today affect the outcome of tomorrow.